Although alcohol in powdered form has been around for decades – long before a 1976 patent for it was issued to the General Foods Corporation – the announcement of a new product tabbed for the market has pushed the topic back to the forefront. In early April 2014, the U.S. Alcohol and Tobacco Tax and Trade Bureau (“Trade Bureau”) approved packaging labels for seven flavors of a powder called “Palcohol,” which, when mixed with water, produces flavored alcoholic drinks. At the time when news of the Trade Bureau’s approval broke, the (allegedly) still-in-progress website for the product contained content suggesting that Palcohol: (1) would be perfect to sneak into sporting events and concerts to avoid higher-cost concessions; (2) could be sprinkled on top of cooked food for “an extra kick”; and (3) that, yes, it could be snorted but such use was not recommended because of how fast it would inebriate. Public reaction to the news and website content was strong, generating many worries about the public safety and abuse risks associated with concentrated alcoholic powder. Roughly two weeks after granting the label approval, the Trade Bureau rescinded it, stating without further explanation that the approval had been issued “in error.” In subsequent interviews, Palcohol’s inventor indicated that the labels would be resubmitted to the Trade Bureau, but there have been no reports about the Trade Bureau’s acceptance or rejection since April 2014. As of February 2015, the Palcohol website indicates that the product may be available in the spring of 2015, but provides no additional information about the timeline. In the past 10 months, however, legislators in nearly 30 states have proposed laws addressing powdered alcohol. The legislation generally takes one of two forms, either: (1) a ban on the use or sale of the substance (except for research purposes); or (2) expansion of the state’s definition of alcoholic beverage in an effort to make sure powdered alcohol falls under state regulation. As of the writing of this article, bans on the use/sale of powdered or crystalline alcohol have been enacted in three states – Louisiana, South Carolina, and Vermont – with similar legislation presently pending in 21 other states. 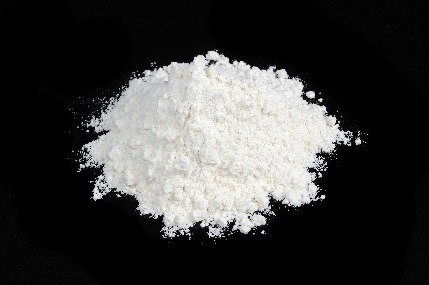 In October 2014, Michigan law was amended to broaden the definition of “alcoholic liquor” to include powder. Similar legislation expanding definitions is pending in four other states. In one state, Hawaii, there is pending legislation that would require the state to study the health effects of powdered alcohol. On the federal level, Senator Charles Schumer has been an outspoken critic of Palcohol, asking the U.S. Food and Drug Administration to ban the product. Moreover, in November 2014, he introduced legislation designed to amend the Federal Alcohol Administration Act to add a section making it unlawful “to make, sell, distribute or possess powdered alcohol.” The legislation did not make it out of committee. One expects that there will continue to be much legislative and regulatory activity over the remainder of 2015 as the approval and legality of powdered alcohol is sorted out. See, NABCA, Powdered Alcohol: An Encapsulation, 1-2 (October 2014) (available at http://www.nabca.org/assets/Docs/Research/White%20Papers/Powdered%20Alcohol%20Paper%20Oct%202014.pdf). Id. The website’s claims were quickly adjusted, with the accompanying explanation that the content was experimentation with “edgy” marketing. See http://money.cnn.com/2014/04/21/news/companies/powdered-alcohol/. For the most part, each state controls the sale of alcoholic beverages within its borders, and thus the exact definition of a regulated alcoholic beverage differs across states. AS § 04.16.110 (Alaska); 18 CCR § 2557 (California regulations); 4 Del.C. § 101(11) (Delaware). LA R.S. § 26:351(10) (Louisiana); S.C. Code 1976 § 61-6-4157 (South Carolina); 7 V.S.A. § 69 (Vermont). South Carolina’s law is slated to automatically repeal (“sunset”) in June 2015 unless the state legislature amends the law. These states are: Colorado, Connecticut, Florida, Hawaii, Illinois, Indiana, Iowa, Kansas, Kentucky, Mississippi, New Jersey, New York, Ohio, Oklahoma, Rhode Island, Tennessee, Texas, Utah, Virginia, Wisconsin, and Wyoming. Virginia’s law has passed both houses and appears to be the next in line for enactment. A detailed description of the pending legislation can be accessed here: http://www.namsdl.org/alcohol.cfm. These states are Nebraska, New Mexico, North Dakota and Washington. A detailed description of the pending legislation can be accessed here: http://www.namsdl.org/alcohol.cfm. Here’s a link to a blog post I wrote last April about powdered alcohol/Palcohol. I believe this is a disaster waiting to happen.